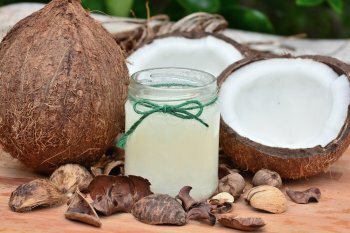 Coconut oil pulling is the unique oral procedure where one rinses his/her mouth with coconut oil for 10 to 20 minutes. It is believed that coconut oil pulling is beneficial for several reasons including whiter teeth, prevention of cavities and other dental ailments. However, there are negative side effects of coconut oil pulling. We recommend avoiding this rinsing procedure for the following reasons. One of the more common side effects of coconut oil pulling is excessive dry mouth, which in turn leads to increased thirst. The combination of oil mixed with saliva being swished together removes saliva from your mouth, leading to dryness. A dry mouth can also lead to bad breath. Since it is recommended to swish the oil around continuously for 10 to 20 minutes, many people experience jaw stiffness. The constant swishing causes jaw muscles to tense up resulting in slight pain and stiffness. In addition, holding oil in your mouth for 10 to 20 minutes is not very appetizing and could cause you to gag or choke. Contrary to popular belief, coconut oil pulling can actually promote more cavities instead of helping to prevent them. Coconut oil pulling should not replace one’s normal dental health care routine. Brushing twice a day with a fluoride based toothpaste and flossing regularly is the most effective way of maintaining a clean, healthy mouth. When people replace this routine with coconut oil pulling, they have a higher chance of cavity-related incidences. Coconut oil pulling cannot clean your mouth the way brushing and flossing can, so neglecting to keep up with regular brushing and flossing can actually hinder your oral health. Ingestion of oil causes bacteria to enter the stomach. As a result, people experience upset stomach, nausea and sometimes even vomiting. Those with allergies to safflower, sesame, coconut, olive or sunflower will experience increased stomach cramping as the most common oils contain these elements. Though oil pulling is thought to be an all-natural method for getting whiter teeth, there are more effective and healthier methods for teeth whitening such as custom whitening trays, UV light and heat activated whitening gels. And, oil pulling is absolutely no substitute for regular brushing, flossing and dentist visits. See your dentist regularly and inform him/her of any questions you might have about oil pulling. 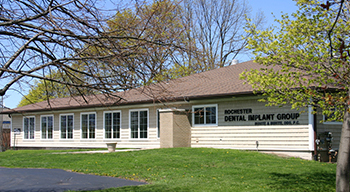 They are a great resource for all sorts of dental information.